On Saturday March 19, 2011, the museum hosted the 120th anniversary celebration of the Chicago Chapter of the National Society Daughters of the American Revolution. 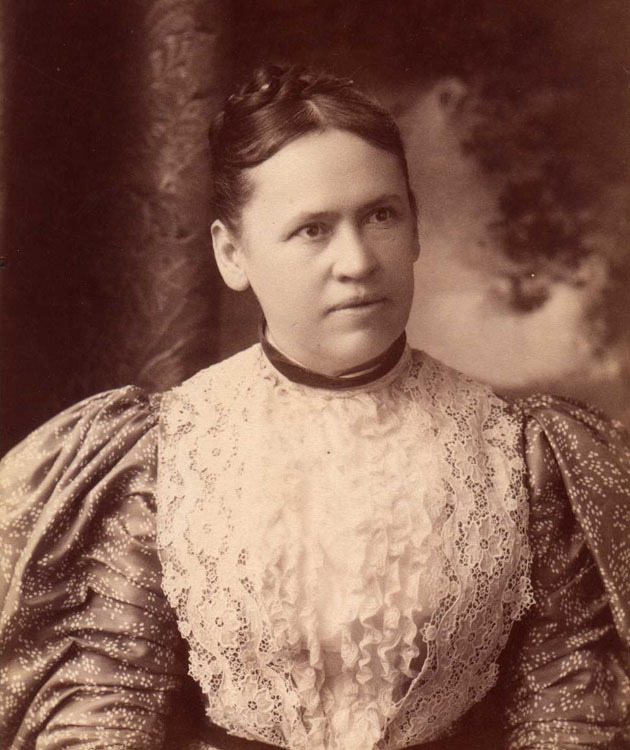 It was a most appropriate choice of venue, for Frances Glessner was one of the charter members of the Chicago Chapter – the first chapter formed after the National Society was organized. -Miss Margaret Beekman Meeker, 2117 S. Calumet Ave.
-Mrs. William (Caroline) Reid, 2013 S. Prairie Ave.
-Miss Mabel Wheeler, 1812 S. Prairie Ave.
-Mrs. Nathaniel (Helen) Fairbank, 1801 S. Michigan Ave.
-Mrs. Charles (Susan) Hamill, 2126 S. Prairie Ave.
-Mrs. George (Hattie) Pullman, 1729 S. Prairie Ave.
-Miss Jessie Spalding, 1637 S. Prairie Ave.
-Mrs. James (Alia) Walker, 1720 S. Prairie Ave.
Mrs. John A. (Mary) Logan was an honorary member, having previously resided at 2119 S. Calumet Ave. John A. Logan was a celebrated general during the Civil War, and later served in both the U.S. House of Representatives and the U.S. Senate, running unsuccessfully for vice-president of the United States in 1884. He is best remembered today for issuing the order for the first nationwide Decoration Day in 1868 (now known as Memorial Day) while serving as commander-in-chief of the Grand Army of the Republic. A large equestrian statue of Logan, designed in 1897 by the great 19th century sculptor Augustus St. Gaudens, stands today in Grant Park at the foot of 9th Street. After his death, Mary Logan became the editor of the Home Journal. Mrs. Willard T. (Anna) Block, 1628 S. Indiana Ave., was among the most active members, eventually chairing the committee that helped fund Memorial Continental Hall, the NSDAR headquarters in Washington D.C. In 1922, she was elected vice president general of the National Society. She died in 1924. Frances Glessner was eligible for membership in the DAR through the lineage back to her Revolutionary War ancestor Robert Whitehall. In 1885, Frances Glessner received a Christmas gift from her mother and sister that served as a tangible link to that great-grandfather - a beautiful hand-stitched handkerchief case featuring scraps of fabric from the dresses of his wife, Eleanor Reed Whitehill (1734-1785) and their daughter, Rachel Whitehill Macbeth (1764-1846). Another interesting relic of the Revolutionary War was owned by Fernando Jones, who lived at 1834 S. Prairie Ave. Many years before moving to the street, he had received a small glass vile containing tea leaves from the Boston Tea Party, directly from one of the men who had participated. When Jones completed his home, he had the vile placed inside the newel post in the main hall. (What became of the treasured relic when the house was demolished in 1942 is unknown). The Chicago Chapter NSDAR continues to thrive today, continuing the proud tradition established by Frances Glessner, her neighbors, and other prominent women throughout the city 120 years ago.